Dr. Matthew Calamia is a licensed clinical psychologist with experience conducting a broad range of psychological assessments including cognitive, psychoeducational, and health-related assessments (e.g., pre-surgical evaluations). He has worked with adults with a wide range of cognitive and psychological concerns in outpatient clinic and hospital settings. He also provides psychological treatment using empirically supported interventions including cognitive behavioral therapy for adults with ADHD. Dr. Calamia conducts research on neuropsychological assessment and psychological testing in his role as an Assistant Professor in the Department of Psychology at Louisiana State University. He is also an Adjunct Assistant Professor at Pennington Biomedical Research Center where he conducts research on cognitive aging in collaboration with the Institute for Dementia Research and Prevention. Dr. Calamia graduated with his PhD in Clinical Psychology from the University of Iowa in 2014. 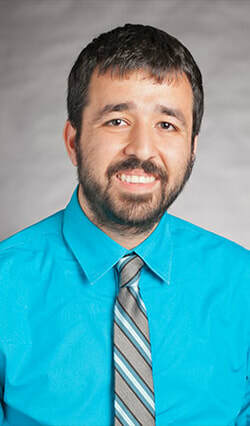 He completed his clinical psychology internship in the Department of Psychiatry at the University of Illinois at Chicago in 2014 with primary rotations in neuropsychology and heath psychology. He completed postdoctoral hours in psychological assessment prior to obtaining licensure in 2017.